Anyone who knows me knows that I am a HUGE Harry Potter fan, and I was beyond ecstatic when I found out a few years back that Universal Orlando Resort would be adding the Wizarding World of Harry Potter to their parks – all that Harry Potterness (is that a word?! If not it should be!) just down the road from me! Since then, I have been to the Wizarding World of Harry Potter countless times, and each time I visit, I’m just as excited to be immersed in everything I’ve read in the books and seen in the movies. Universal did the most amazing job with this area (which now covers both the Universal Studios park and Islands of Adventure, with Hogsmeade in one and Diagon Alley in the other) and the details are incredible. Any Harry Potter fan would be happy to spend a day here, and it is totally possible to do the Wizarding World of Harry Potter in one day – but it does take a little pre-planning to make sure you fit in everything and see as much as possible, especially if you’re visiting during the busier seasons in the summer and over Christmas (read my complete guide to Universal Studios at Christmas here). 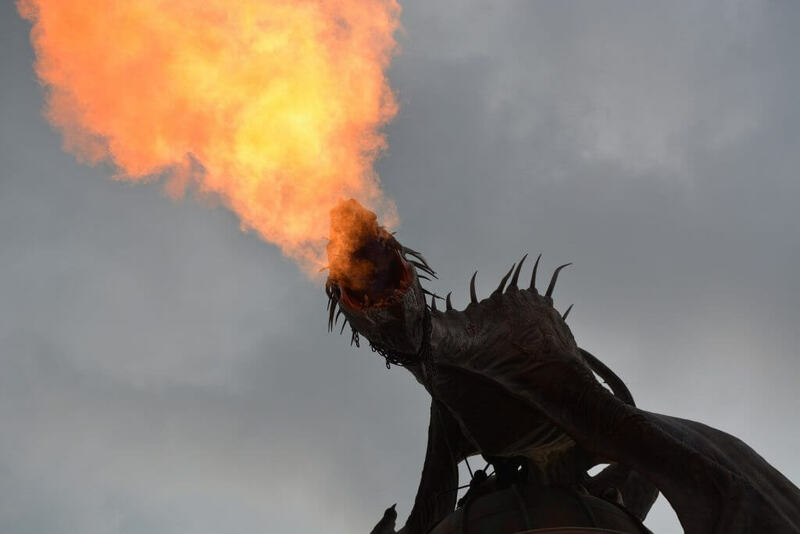 So I created a complete one day itinerary for the Wizarding World of Harry Potter at the Universal Orlando Resort, for anyone visiting who needs to know exactly what to do – and what order to do it in – to get the most out of their visit! 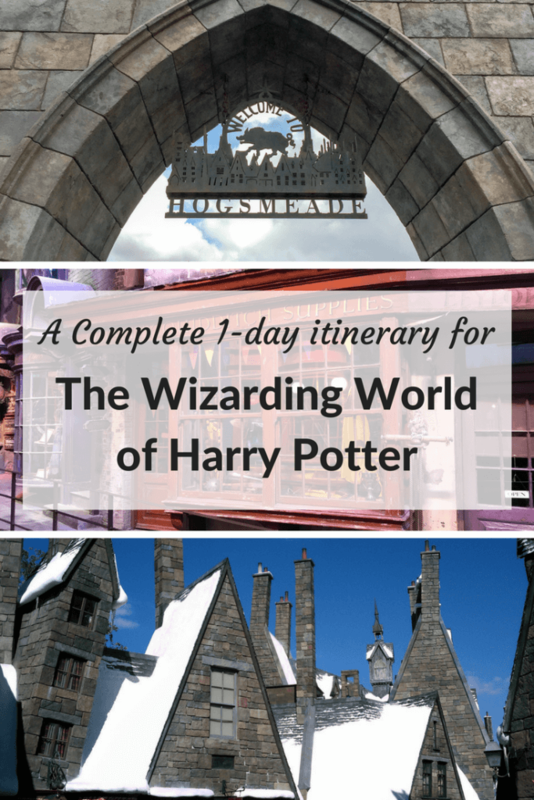 The first step on our Wizarding World of Harry Potter itinerary takes us to where it all began! If you’re going to enter The Wizarding World of Harry Potter, you should really do so the same way that Harry himself did that first time – and that was through Diagon Alley! Diagon Alley can be found in the Universal Studios park, and from the outside, it looks just like London – seriously, JUST like London (except for maybe the blue sky!) There’s plenty to take in before setting foot in Diagon Alley, so don’t be in too much of a hurry to get in. First off, you can’t miss the big three story purple Knight Bus, where you can meet Stan Shunpike himself and have your photo taken. You’ll also want to keep an eye out for a red phone box, very common in England. If you step inside and dial 62442 (which spells out ‘magic’, naturally) you’ll get through to the Ministry of Magic – definitely worth a listen! Also, if you look at the buildings along the street, you’ll find Number 12, Grimmauld Place – keep an eye on the windows on the 2nd floor for Kreacher the House Elf to make an appearance. Once you’ve had a look around London, head back towards Diagon Alley, and your first glimpse of The Wizarding World of Harry Potter. Listen closely as you enter – you can actually hear the bricks moving to open up the wall! Tip: if you stay at one of the Universal Studio’s Orlando Resorts you can enter the Wizarding World of Harry Potter before the other park guests! Read my review of Universal’s Cabana Bay Resort here. Take a few minutes to look around Diagon Alley; there is so much to see in the beginning, you might not know where to look first! Luckily, I’m here to be your guide! As any budding wizard will know, you can’t do any magic (at least not in the early stages of your education!) without a wand – and we all know the best place to get a wand in Diagon Alley is from Ollivanders! 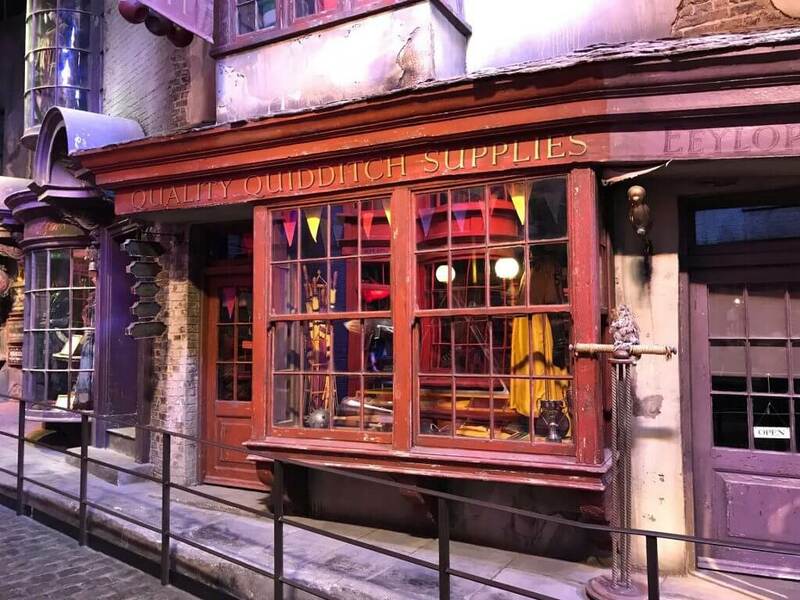 Ollivanders Wand Shop should be your very first stop in Diagon Alley, and it can certainly get crowded in there, so early on is a good time to visit. There is a wand-choosing ceremony, which is so much fun to participate in if you get chosen, but if you’re not picked, don’t despair. 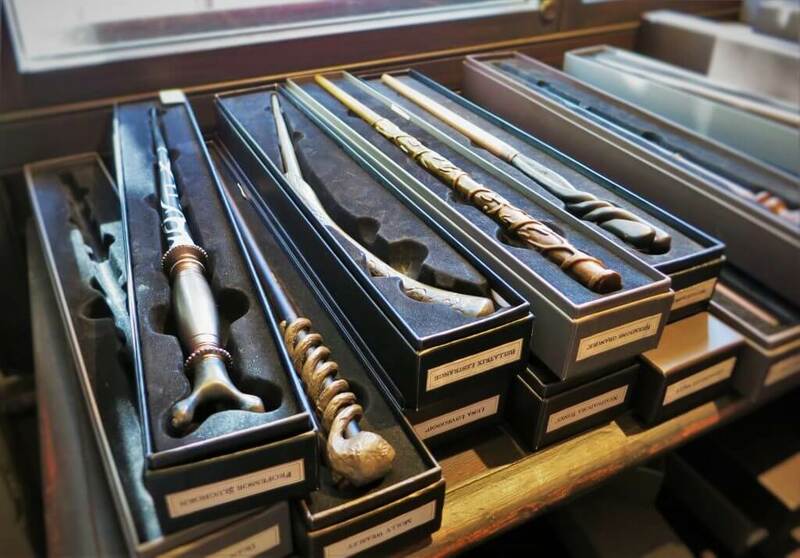 There are a huge variety of wands to choose from, so take your time picking one out that feels right to you. Don’t forget that you can also purchase an interactive wand; these are more expensive, but will do actual magic (sort of!) out in Diagon Alley. Universal Team Members are around to help you with your spells until you perfect the technique, and there are numerous different places you can practice your magic. The places to perform your new found magic skills can get busy as the day goes on, so I would suggest doing this early on – it’s a little bit less fun to watch a whole group of other people perform the spell before you do, as it somewhat spoils the surprise! Once you’ve picked out your wand and worked on a little magic, you’ll need to start thinking about picking up your school supplies. 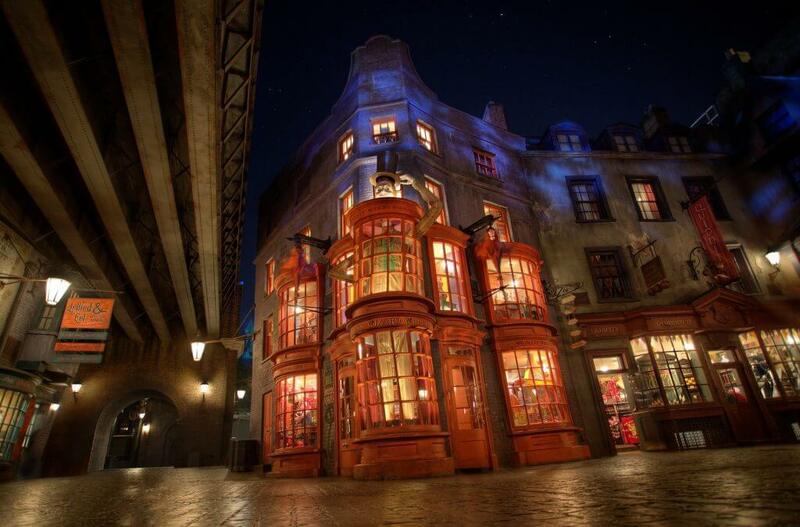 There are a whole host of places to shop in Diagon Alley. Madam Malkin’s Robes for All Occasions should be your first stop, to pick up all of your school apparel, including Hogwarts House specific clothing and accessories (because let’s face it, every Harry Potter fan already knows what house they’re in before setting foot in The Wizarding World of Harry Potter!) If you’re a Quidditch fan, you’ll need to stop in to Quality Quidditch Supplies for shirts, scarves, and of course, brooms! Scribbulous is where you can pick up parchment, quills, notebooks, and stationary, and Wiseacre’s Wizarding Equipment will house any other Harry Potter paraphernalia you might want. If you’re looking for an owl or toad to take to school, stop in at the Magical Menagerie, which is worth a visit even if you’re not in the market for a pet – there are some very cool animals in the shop to look at and interact with. Of course, you’ll want to have fun when you’re at school, so your last shopping stop should be Weasley’s Wizarding Wheezes. Here you can find all manner of joke items such as Extendable Ears, U-No-Poo, and Skiving Snackboxes. You can also pick up a Pygmy Puff here, which you will get to officially name before adopting and taking it home. You might have spent a little more than you meant to buying school supplies (been there, done that, got the Hogwarts House themed t-shirt) but that’s OK, Gringotts Bank is right there at the end of the street. You can exchange your Muggle money for Wizarding Money right there in the bank, which you can either keep as a souvenir or actually spend in the shops and restaurants. It’s hard to miss the giant dragon sitting on top of the bank as well, especially since he makes himself known every now and then by breathing fire! If you want to explore Gringotts a little deeper, and get a better idea of the dragon’s story, now would be a good time to ride Harry Potter and the Escape from Gringotts. This ride can get a very long line in the busier periods, so ride as soon in the day as you can. The ride queue takes you on a tour of Gringotts, including getting up close and personal with some rather foreboding looking goblins, before you take a trip through the Gringotts vaults. The ride is one of my favorite ever theme park rides, and an absolute must-do! The Tale of the Three Brothers is one of the few Harry Potter related things that I prefer in the movie compared to the book; the book did a good job telling the story, but the way it was illustrated in the movie was amazing. Luckily, this version is the one performed in Diagon Alley, with actors using puppets to portray the three brothers in the story. Another fantastic performance to catch is that of Celestina Warbeck, Molly Weasley’s favorite Wizarding singer! Her shows are fun and vibrant and another must-do for me whenever we visit. 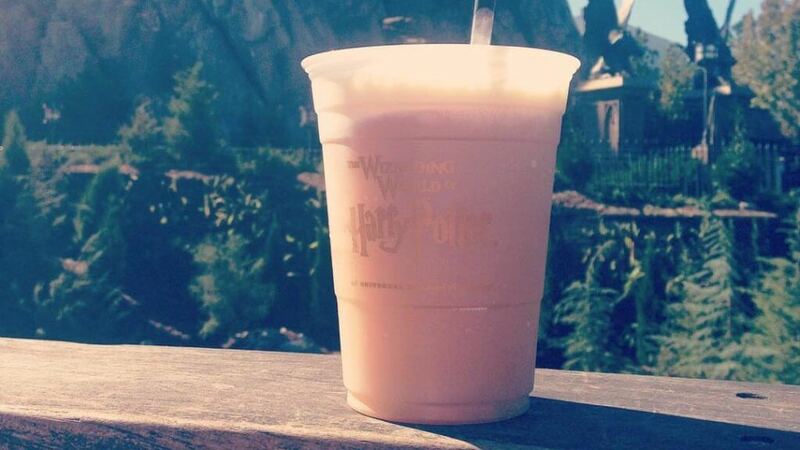 Both of these shows provide the perfect backdrop to sitting and enjoying your very first frozen butterbeer! There are multiple locations to get this from within Diagon Alley, but my personal favorite is The Hog’s Head; this bar has a whole host of other drinks as well, both alcoholic and non-alcoholic, and you might want to browse the menu for another drink later on. Be sure to ask the bartender about the secret menu too! Eat lunch at The Leaky Cauldron – and save room for dessert! By now, you’re probably getting pretty hungry, so it’s time for lunch at The Leaky Cauldron. This is my favorite of the two Wizarding World quick service locations (the other being The Three Broomsticks over in Hogsmeade – don’t worry, we’ll go there too!) and the food is really good. I grew up in the UK and can be quite critical of attempts for restaurants to make British food this side of the pond – but this stuff is good quality, extremely tasty, and very authentic. My favorite options are the Bangers and Mash, and the Beef, Lamb, and Guiness Stew, but all of the food is fantastic. The drinks menu is pretty great in here too; I really like the Fishy Green Ale or the Tongue Tying Lemon Squash, or you could opt for a Firewhiskey instead. Either way, this is a great place to sit (in the air conditioning!) 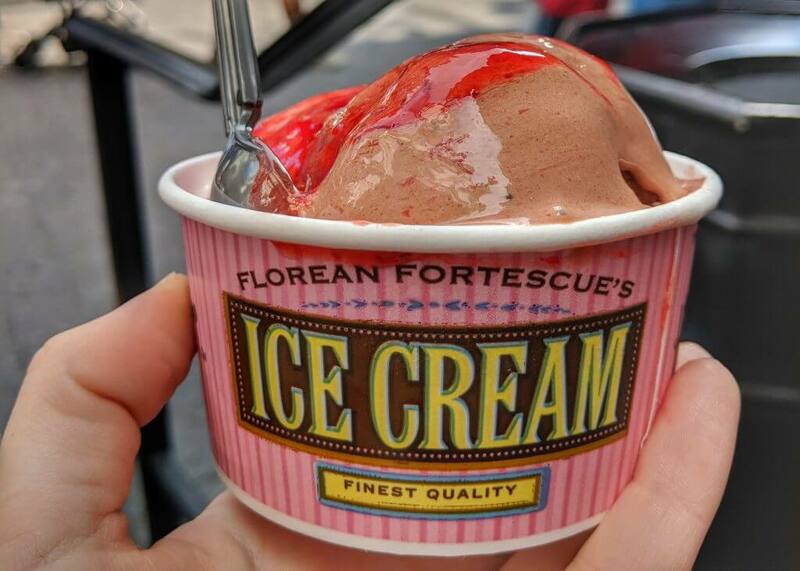 before moving on to get some dessert at Florean Fortescue’s Ice Cream Parlor. This is the absolute best way to keep cool on a hot Florida day, and the options are endless. My go-to is a scoop of Clotted Cream and a scoop of Chocolate Chili topped with strawberry topping, but my husband loves the Strawberry Peanut Butter. Grab a couple of scoops to nibble on as you head to our next destination – Kings Cross Station. You’ll need to head back out Diagon Alley the same way you came in, and then make a right and head down towards Kings Cross Station. You’ll need a 2-park ticket in order to take the train to Hogsmeade, so make sure you have your ticket out and ready to be scanned before you board the train. Meander through Kings Cross Station before boarding the amazing Hogwarts Express to take you to Hogsmeade. The train journey from Diagon Alley to Hogsmeade takes a few minutes, and you’ll have an amazing view out the window as London slips away, and the countryside becomes more wild – look out for your first glimpse of Hogwarts castle! 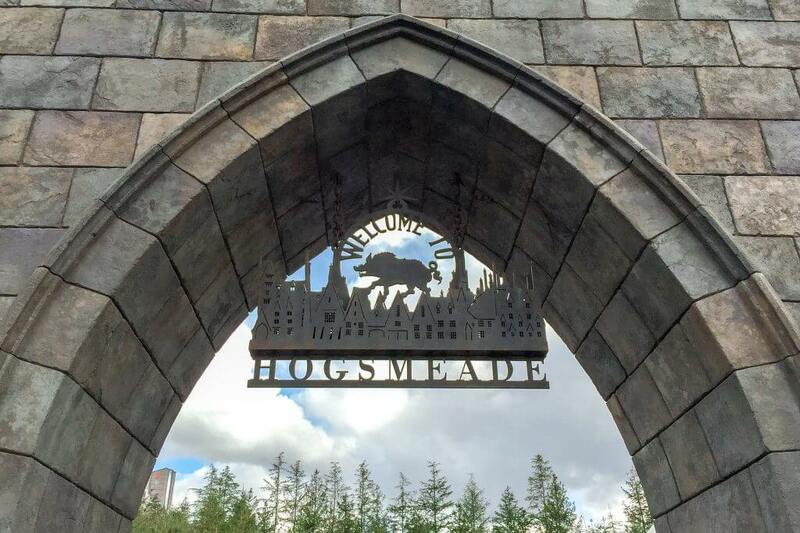 Pulling into Hogsmeade station, you’ll be greeted by Hagrid, then it’s time to disembark your locomotive and take your first steps into Hogsmeade! Your first stop should, of course, be Hogwarts castle, and, in my opinion, the best theme park ride in all of Central Florida, Harry Potter and the Forbidden Journey. The ride queue takes you through Hogwarts castle, with glimpses into Dumbledore’s office, a potions classroom, and even a meeting with Harry, Ron and Hermione. The ride itself is thrilling, where you’ll encounter Quidditch matches and giant spiders, and maybe even a Dementor or two. Waits for this ride can get to be pretty long, and if you don’t mind splitting up your party, the single rider line is a fantastic way to cut that wait way down. 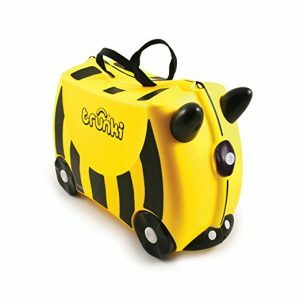 If you’re traveling with young children who don’t meet the height requirement or just don’t want to ride, they can go through the line with you, and just before boarding, your party will be directed to the family room where one adult can wait with any non-riders as the other rides, and then vice versa. There is also the option to simply take the castle tour to see the interior of the castle without doing the ride if you wish. Hogwarts is the crowning jewel of The Wizarding World of Harry Potter, and is absolutely beautiful, both inside and out. The other ride in Hogsmeade is Flight of the Hippogriff, where you’ll get to meet Buckbeak and see Hagrid’s hut and pumpkin patch. This is a fun little family coaster, but very short, and I would say only worth waiting for if the line is 20 minutes or less. 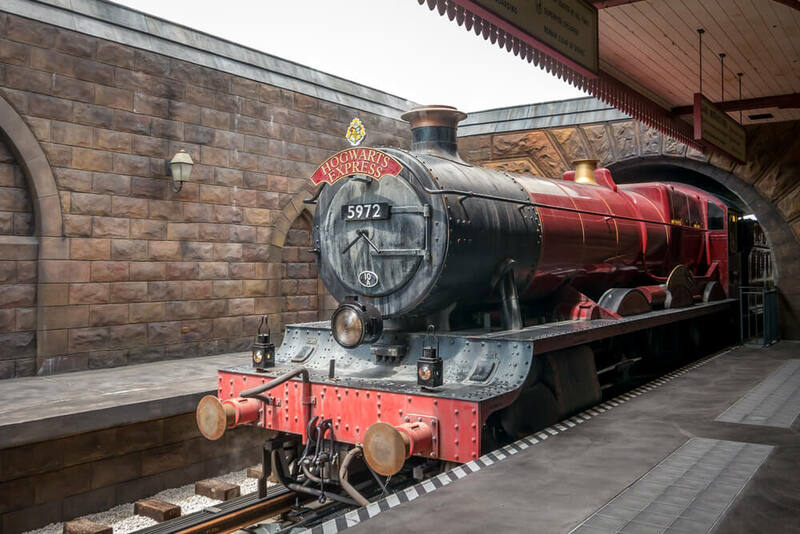 Once you’ve had chance to tour Hogwarts and ride Harry Potter and the Forbidden Journey, your day might be starting to come to an end – but you still have a few things left to do! Since your friends and family will be SUPER jealous that you got to visit The Wizarding World of Harry Potter, it might be nice to pick up a gift or two to take back home to them. 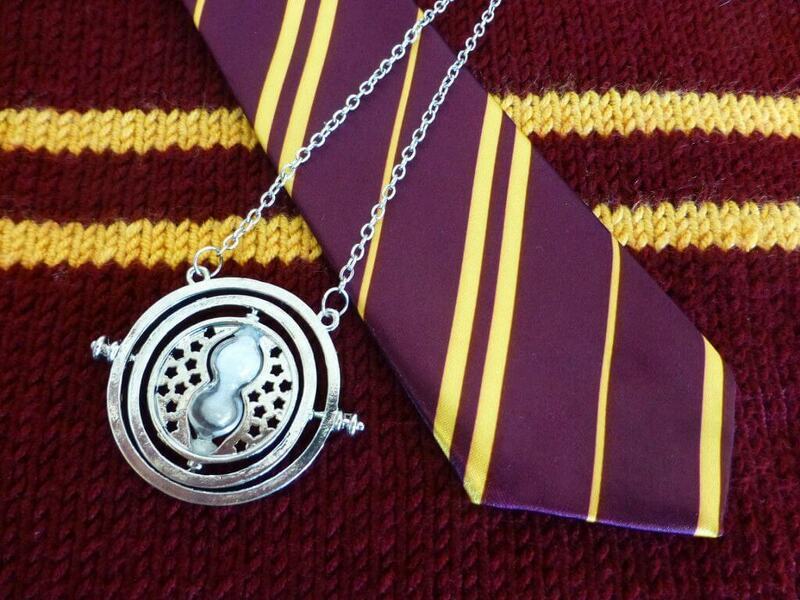 Luckily, Hogsmeade has some fantastic gift options. Dervish and Banges has all manner of magical items such as Sneakoscopes and Omnioculars, as well as Quidditch supplies, Hogwarts House themed clothing, and much more. While you could buy something from here, I would suggest that the best souvenirs are going to come from Honeydukes. The amazing sweet shop has every sugary treat that you read about in the books: Bertie Bott’s Every Flavor Beans, Cauldron Cakes, Exploding Bonbons, Cockroach Clusters, Acid Pops, and of course, Chocolate Frogs. The Chocolate Frogs even come with trading cards, although sadly the pictures do not move. A word of caution: the Chocolate Frogs do not last long in the Florida heat, so buy them at the end of your day! It’s nearly time to get back on the Hogwarts Express to head back to London, but not before one final meal in The Wizarding World of Harry Potter. The Three Broomsticks was the original Wizarding World eatery, and is a great place to finish your day. I’d recommend the Fish and Chips with a chilled Pumpkin Juice, and maybe break into one of those Chocolate Frogs for dessert! After dinner, it’s time to say goodbye to Hogsmeade and take the train back to reality. The train ride from Diagon Alley to Hogsmeade is different from the one back to London, so you need to experience the journey in both directions. Head back through Hogsmeade station to get back on the Hogwarts Express to go home, waving goodbye to Hagrid as you leave. Look out for the Knight Bus weaving its way through the streets as you pull back into the city, then head back through Kings Cross station, back out into London, and Universal Studios park. 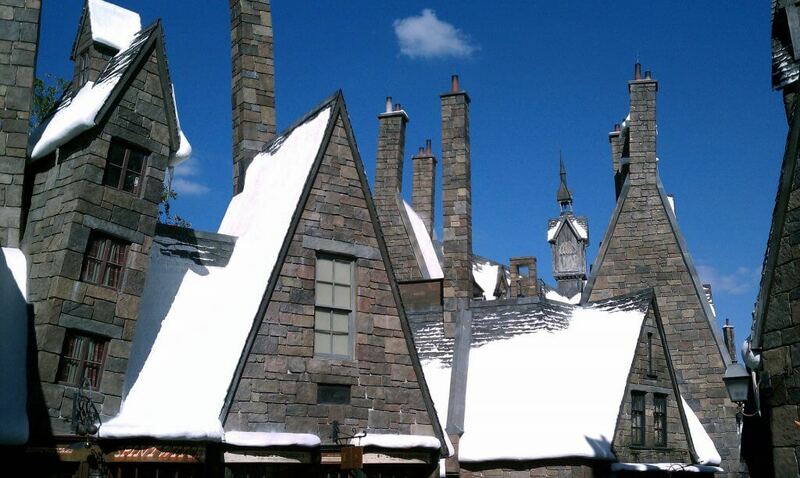 Have you visited The Wizarding World of Harry Potter at Universal Orlando Resort? What was your favorite thing to do? Let me know in the comments! I love Harry Potter! I’ve been to universal Hollywood and had such a fantastic time. I can’t wait to visit the one in Orlando! Thanks for the tips! I’d love to go to Universal Hollywood to see the differences between the two parks – and they have the really cool nighttime show! Yep, the ultimate for any Harry Potter fan! OMG I am such a huge Harry Potter fan but haven’t been to Wizarding World since before Diagon Alley opened. LOVED Hogsmeade and the Forbidden Journey so much, I can’t wait to go back. Your itinerary is absolutely perfect!! Thank you so much! Hogsmeade is fabulous but oh my goodness, Diagon Alley is perfection! Literally every inch of it is just like you’d imagine it to be, it’s definitely worth a return visit! I LOVE Harry Potter but my kids haven’t read it yet and I want to save this for when they really know all the ins and out of the story! I love how they really take every detail of the book into consideration at the theme park! I pinned this for later. But what is pumpkin juice?!?!?!? It’s literally pumpkin juice! Probably with added sugar and stuff, I’ve never looked properly at the ingredients. It’s really good on a hot day, very refreshing. Harrison has just started to get into the books, but he’s seen the movies and loves the detail The Wizarding World went into – it’s literally like stepping into the movies! One day is great, but two days would be even better – then you get to experience everything twice! I never got into the Harry Potter craze, but this does look like a really cool thing to experience! I’ll definitely share this with my Harry Potter friends, and those with kids who are obsessed! Thanks for sharing! My husband isn’t a huge Harry Potter fan either, as much as I’ve tried to convert him! Yep if your little one loves the books, I’m sure she would love this place! 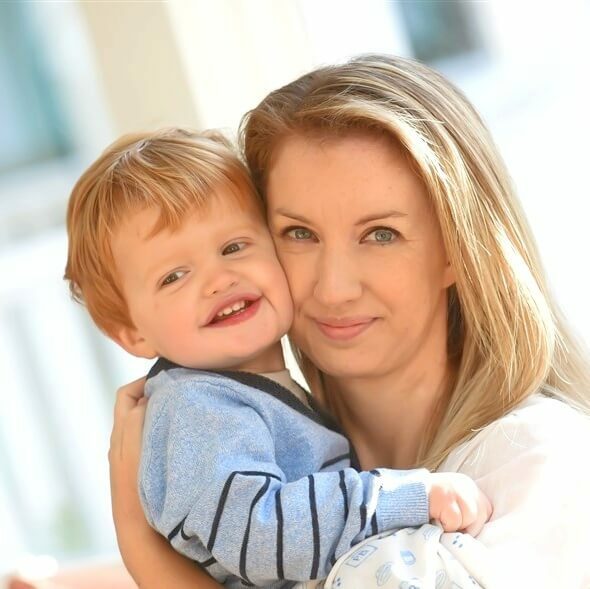 My eldest is five years old and is just starting to read the books, although he’s been visiting The Wizarding World since he was born – I think once he’s read the books he’ll appreciate the area even more! I love the Studios too, we visited there a few years back and I could have stayed for days taking everything in! The Diagon Alley they have there is very similar to the one they have at Universal Studios, which is pretty cool. Oh wow! 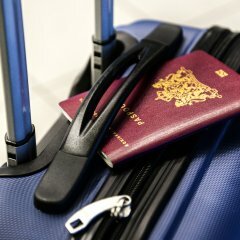 So envious of this post and your trip! I love Harry Potter and read all the books when I was younger – would love to visit here. Your words and pics really help sell it and that ice cream looks fab too! Thank you! Yep that ice cream was amazing – as I was posting the picture, I was thinking to myself that I’ve got to go back and get that again someday soon! This is a great place to visit as a Harry Potter fan! I am not a Harry Potter fan, however my sister-in-law is an I can’t wait to take her and her kids here one day. I think it will be so awesome sharing the experience with them, even if it’s not my thing. Love your tips on what to do, I think the train is a must! Thank you! It’s definitely something fun to do with other people who love the books and movies, even if you’re not a huge fan yourself. 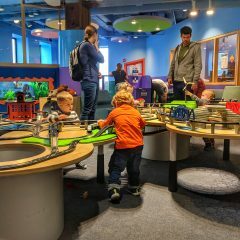 Just the attention to detail and amazing things to do will be enough to keep you entertained I’m sure – and the train is an absolute must, especially for kids! It was, absolutely brilliant! Every Harry Potter fan I know that has visited was just blown away! Sounds like you had an adventure. Must have been good fun. We always have an amazing time there! I love this guide for The Wizarding World of Harry Potter! It’s one of the attractions that I love going to whenever we’re in Universal. The experience is always unforgettable! Exactly, every time we go we have such an amazing time! Oh my goodness, you absolutely HAVE to go! I was at all of the midnight books releases and everything too, I am a complete Harry Potter nerd, and this place makes me so, so happy! Definitely worth the 2-hour drive! Great place to visit for any kid or adult who is a huge Harry Potter fan. Disney always does a great job of bringing ppl a great themed experience. I am a huge Harry Potter fan and am desperate to visit Universal to do this, it looks amazing. I love all the attention to detail but most of all, I want my own wand!! Hahaha, I must admit that I love my wand very much! I went through the ceremony and a wand ‘chose’ me and now I feel like it’s super special, lol! This looks like a memorable experience and your guide is so detailed it should be printed out by anyone visiting the HP world. Thank you, that’s so kind of you to say! 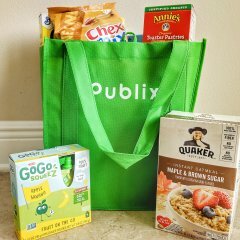 I really hope it does help people with their trip. It’s the best place to experience the wizarding world we all love to watch, I want to go there someday. I hope you get to make the trip someday! You’re not alone, my husband hasn’t seen the movies either! He loves The Wizarding World though, there’s so much to do and see and take in, it’s definitely worth a trip even if you’re not a huge Harry Potter fan. We are such Harry Potter fans. I would love to take the kids to The Wizarding World of Harry Potter. The castle tour and ride would be incredible. That’s one of my favorite things to do in the whole area! The castle is amazing, you really feel like you’re in a real castle as you walk through, and it’s so cool to see the classrooms and offices. Harry Potter and the Forbidden Journey is my favorite ride in all of Central Florida, including anything at Disney, and that’s saying something! This is great to know it can be done in 1 day. I think that will be all we have to visit Universal when we go to Orlando in March. It can definitely all be done in one day, you just have to plan things out and prioritize. I filmed a video of my family following the itinerary in one day and we managed to get everything done without feeling rushed at all – I should be posting the video to my YouTube channel in the next week or two if you’re interested! I want to go! this looks so amazing! It is SUCH a fun place to visit! I’m not a fan of Harry Potter (I could never make it through the books! Sorry lol) but this looks incredible! My boyfriend is the one who loves Harry Potter and he has been telling me about this place forever. I would definately be interested in going if we are ever in Orlando! Lol it’s OK, my husband isn’t a Harry Potter fan either! But this place is amazing, even he loves it and he’s never read a book or seen a movie. So definitely something for everyone! 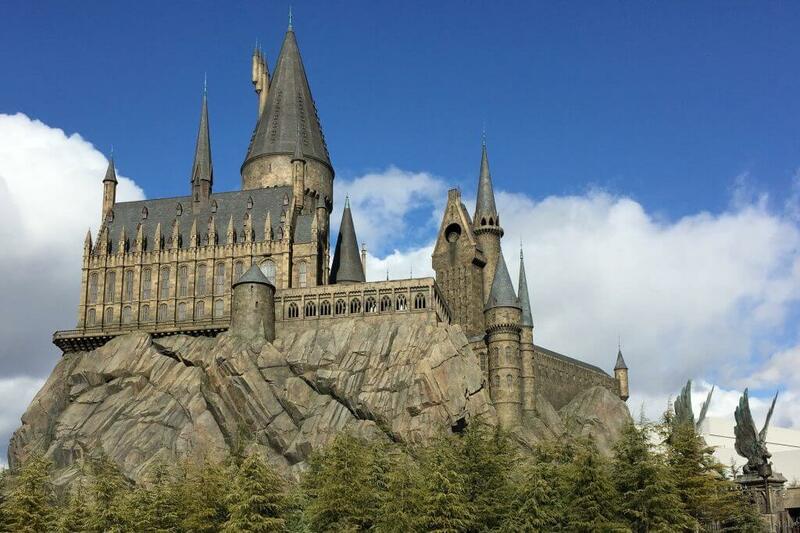 I have visited the Universal Studios in Osaka (Japan) before and while there are similarities, the castle and the forbidden journey ride for example. There is so much more to explore in Orlando, for example, Florian Fortescue’s Ice Cream and the train rides, also Diagonalley. I really want to visit after reading your fantastic review. It’s so interesting to hear the differences between the two parks! So does the one in Japan not have Diagon Alley at all? It must be a bit smaller? I’d love to visit the Japanese version to see how they compare. OMG that sounds so amazing!!! I’m going to USJ’s Harry Potter World in Japan in June. I wonder if it’s similar. I’m beyond excited. Thank you for this post! Oh how exciting, I’d love to visit the one in Japan! You’ll have to report back, I’d really like to hear how the two parks compare -I hear they’re similar, but the one in Japan is supposed to have a fantastic nighttime projection show. I’d love to hear more when you get back! My son does too, and he LOVES this place! It’s a great place for kids! Wow, I visited back in 2012 and it has changed SO much! Sounds awesome!!! I’m planning to go back at some point! I had fish and chips at The Three Broomsticks too! We sat outside by the lake! YES, there’s so much new stuff now they’ve opened Diagon Alley – which, in my opinion, is even better than Hogsmeade, with so much to see and do! The fish and chips from The Three Broomsticks is really, really good! Kate you have me wishing I was back there right now! We went last year for Spring break and my Hubby had to drag us out! I can’t wait to get back. I am a huge Harry Potter fan and I even got my kids on the Harry Potter train this year! I would love to do something like this! Oh then you’d love it! I’m such a Harry Potter nerd, I love everything about the books and movies, this is my happy place! The last time I was in Orlando was before Harry Potter World was built. So I have not had a chance to explore this. I would definitely love to explore the castle, wear a robe and drink some butter beer. Oh well you’ll just have to come back, that’s a great reason for a return trip! The butterbeer is SO good, especially the frozen variety on a hot Florida day! What an adventure! I have always heard such great things about the wizarding world of harry potter but never been myself. I think it would be so much fun! 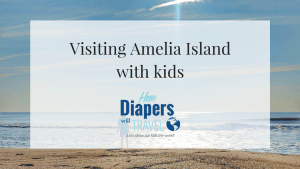 It’s such a fun place to visit, there is so much to see and do! We actually just watched the first HP last night. We love the movies and this would be an amazing experience. What an enchanting place. Everything looks exactly like it does in the HP series. I would never have left the stationery shop too. hahah Adding this to my list of places to visit. It really does, the attention to detail is amazing! I bought way too much stuff at the stationary shop, especially for someone who really doesn’t write much anymore! Thank you! 8 is a great age to visit Walt Disney World; young enough to still believe in the magic, but old enough to remember the trip! This is awesome! 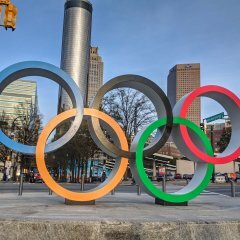 We visited last summer and my oldest daughter loved the experience! Our youngest was fascinated by dinosaurs so she also had a great day! This would be a really fun day for just my oldest and I! Oh we love the Jurassic Park area too, my little boys both LOVE dinosaurs! But yeah, my oldest and I do have fun doing the Harry Potter stuff just the two of us! We visited last summer and have been wanting to go again. This guide will come in handy for when we finalize our plans. I’m with you, this is absolutely one of those places you leave and immediately want to go back to you! I hope you get to make your return trip soon! I’m so happy I’ve found your blog and this itinerary is exactly what I need for our trip to Universal this fall. Thanks so much for sharing this with us. Oh yay, I’m so pleased this was helpful to you! 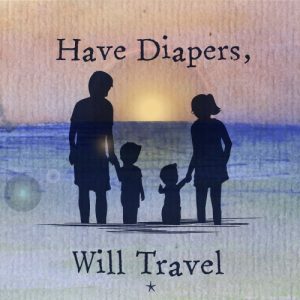 I hope you have a wonderful time on your fall trip!